Where to get your background music and sound effects needed for your podcast? 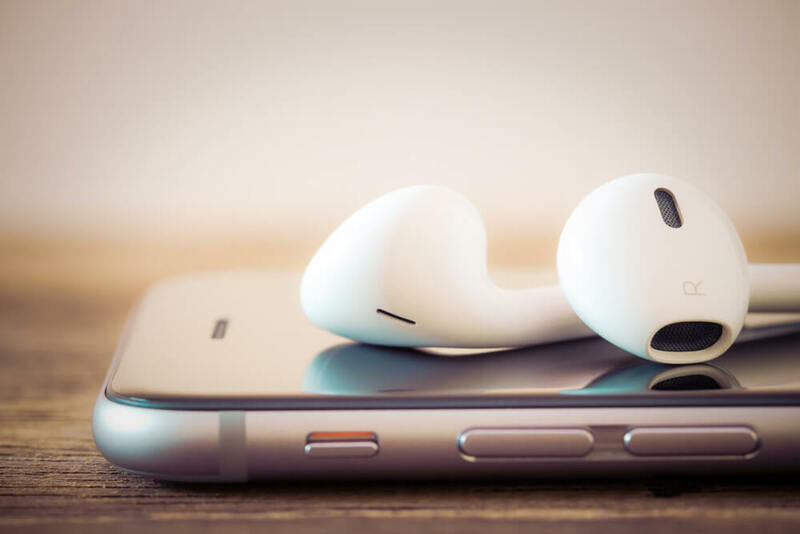 Podcasting continues to have an upward trend: it remains for many the main stone of marketing in their online business, a way of expressing themselves, a hobby or even a source of support for their personal blog. With the rise of smartphones, there has also been a substantial increase in consumers of this service. As we already know, for the purpose of creating a podcast it is always essential to have a good music library and sound effects, especially for the introduction and the end of it. Before showing you which are the best sites to get music for podcasting, it’s important for you to understand why you cannot use any famous song in them. What happens if I use a famous song on my podcast? But the usual is that the online platform on which you have published your podcast -iTunes, Amazon, Youtube, iVoox…- blocks it without prior notice when their algorithms detect that you’re using music without the proper license. So, how to avoid these potential problems? Sure, you want to know if you can use your favorite Rolling Stones song or a piece of Mozart’s music as background music for your podcast. If it’s not your own music or you don’t have permission from the owners of the rights to the song, don’t use it. If music is under copyright, you’re at the risk of legal problems. How can I know if a song is protected by Copyright? Copyright laws can be quite complicated. The fact that there’s no notice anywhere doesn’t mean that can be used freely and more often than not it’s unclear whether a work is protected or not. So when in doubt, better to not use it. But what we can use is Royalty-Free music, a type of music created specifically for these use cases. Royalty free music is always the best option for a podcast. It is what we referred to earlier with the name Podsafe: music that you can use without any problem. While it is true that cost us some money, standard licenses are usually pretty cheap (around $ 15) and ensure peace of mind, because you can use it without any problems. Envato Elements: Probably the best option on the Internet. Thanks to its search engine, you will easily find songs from all genres and sound effects that perfectly match the structure of your podcast. With its subscription service, it offers unlimited downloads from $16.50 a month. Epidemic Sound: This site is ideal if you publish your podcast on Youtube as well, or any of the other social networks. We have the option of paying a monthly subscription (13€/month) to access its entire musical catalog. Artlist: Very similar to the other ones. However, the subscription payment is done yearly instead of monthly. If you have a low budget for your podcast, we can always get access to free music sites. Most of the songs there are under Creative Commons licenses or similar (we highly recommend reading the license of each of websites before downloading and using anything). What if the music is licensed under Creative Commons? Attribution to the author, that is, writing in a visible spot who’s the creator of the music and where did we download it from. You cannot modify the song or sound effect. You cannot use it for commercial use (so, be aware if you’re monetizing your podcast!). Youtube Audio Library: Inside their audio library, YouTube has both completely free music and free sound effects of all kinds. It is worth taking a look before any other place. Free Music Archive: The largest of all, you can download tracks under Creative Commons and other licenses or listen to them on streaming. Musopen: Directory of online classical music with public domain works. Dig.ccmixter: Find music from different artists classified by gender and properly licensed to use it in your podcast. Incompetech: Another great site from which to download free and rights-free music. Just using the search engine on Envato Elements you will be able to navigate very easily between different moods, instruments and use cases. So, you can use any song anywhere you want but according to the limitation of the license of the music you bought. Read them! Once you have paid for a subscription, you will have full rights and you can use any song in any way you want according to the limitation of the license. There are many music providers which offer a different range of songs. But Elements has the best and largest library with almost every type of song. Is also famous for its search engine. You can find any type of song you want to just by writing the mood and then hundreds of options will be shown. Some websites sell pirated licenses which might be cheaper than the real ones but they can definitely result in some sort of blockage or restriction. Elements provides authentic licenses: affordable and real. You can read also if you’re interested in this topic our article about background music for video games.